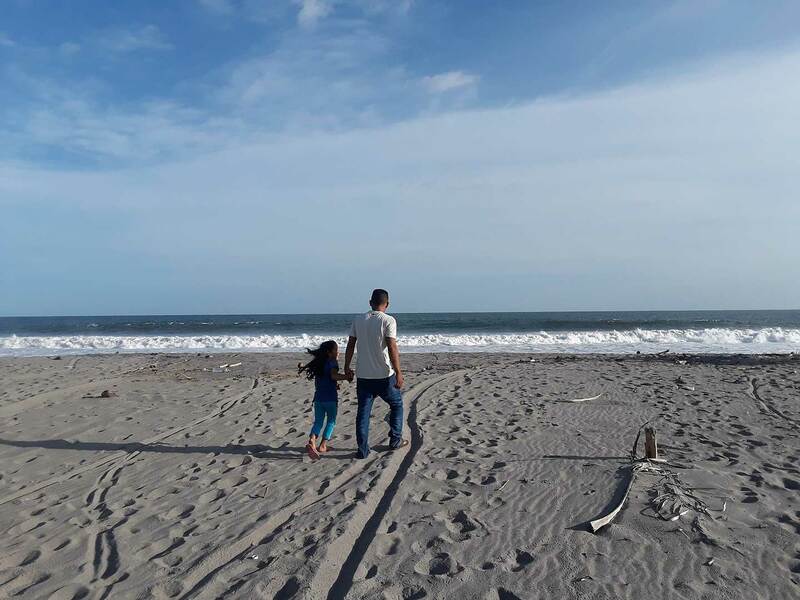 A father’s struggle to be reunited with his daughter, separated by Trump’s zero-tolerance policy. It started in 2016 with a hard play on the soccer field. After the game was over and the players were heading home, two men came up to Arnovis Guidos Portillo, then 24 years old, and told him he was as good as dead. He had bumped into the wrong person on the field—the brother of the leader of the local Barrio 18 gang. In the following days, the death threats came pouring in, and Guidos knew to take them seriously. El Salvador has one of the highest homicide rates in the world, largely driven by gang violence, and now some gang members wanted him dead. He stopped sleeping at home, and, as soon as he could scrounge up some money—the family sold a goat for $200—he fled the country. On his first try across Mexico, he was caught and deported. He fled again, this time making it into the United States, where he asked for asylum. 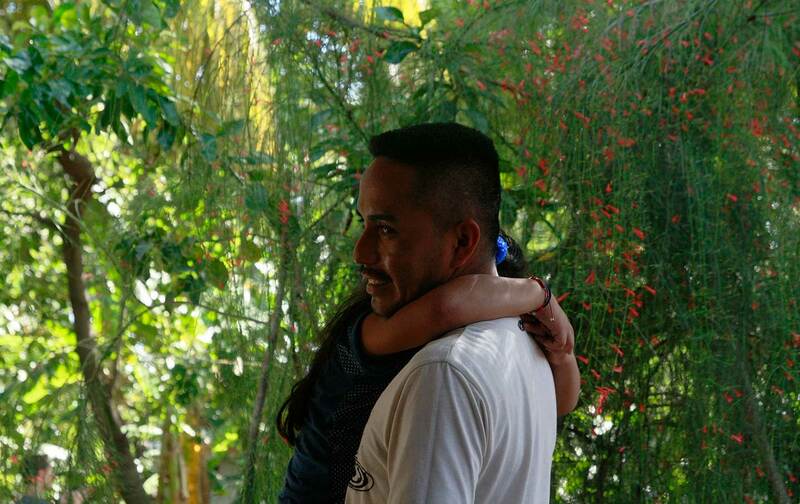 After months of fighting his case in detention without a lawyer, he was deported again. Back in El Salvador and without any money, he tried to lie low and found a job working on a corn farm, earning $7 a day. A couple months in, however, gang members spotted him, and Guidos had to flee again. By this point, his wife had had enough and decided to leave him, which meant that Guidos was now the sole caretaker of their 6-year-old daughter, Meybelín. With help from a brother living in the United States, Guidos hired a smuggler who, for a steep price, loaded father and daughter—along with about 100 other migrants, including Guidos’s brother-in-law and that man’s 7-year-old daughter—into a refrigerated truck-trailer. After a freezing, cramped, and painful 52 hours, they made it to the US-Mexico border, crossed the Rio Grande in a leaky raft, and turned themselves in to a Border Patrol agent. They were taken to a detention center and, two days later, Guidos was separated from his daughter. He didn’t see or speak with her, or know her whereabouts, for the next 23 days. He claimed that Immigration and Customs Enforcement agents coerced him into signing for his deportation. He was frantic, and If Meybelín was not going to be returned to him, A sleepless week after he was sent back to El Salvador, worrying constantly for her, Meybelín was finally returned to him. Guidos’s case is just one of more than 2,000 instances of family separation—the direct result of the Trump administration’s “zero-tolerance policy,” which seeks to prosecute all migrants who cross the US-Mexico border at some place other than a port of entry, even if they do so to ask for asylum—which makes it a legal act under both US and international law. Guidos described the experience, quite simply, as hell. I went to Guidos’s home in Corral de Mulas, in the Usulutan state of El Salvador, on July 6, and spoke with him at length about the experience. His daughter was sleeping in a hammock when I arrived, but after a while she woke up and sat next to us for parts of the interview, occasionally interrupting to ask her father to climb up a palm tree to get her a coconut (which he did) or to play around on his phone. Guidos and his daughter live on a small plot of land shared by his parents. Next door, his sister lives on another family plot. 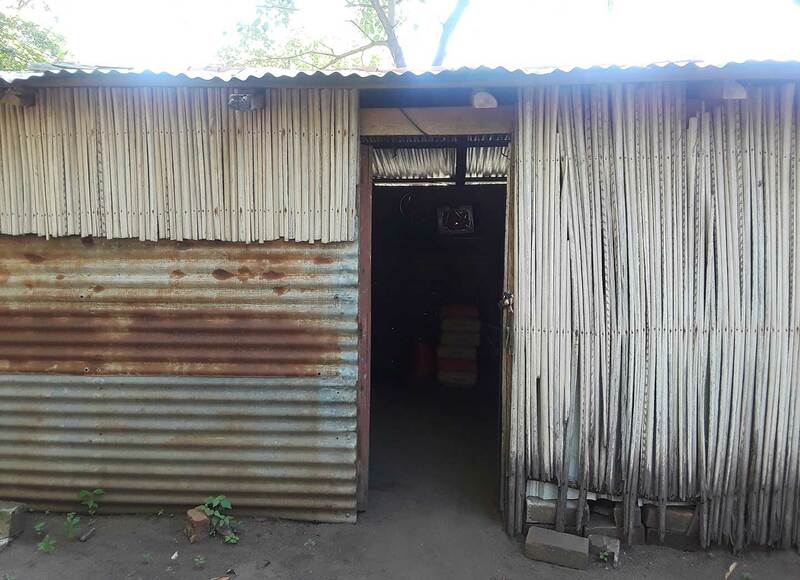 Guidos sleeps in a one-room, dirt-floor shack without electricity, which he built himself. Friendly dogs, a handful of puppies, and about 20 chickens roam under the mango, lime, coconut, and cacao trees. When I visited, Guidos’s father, home from work, lounged in a hammock while his mother and sister prepared a simple meal of fish and tortillas. Guidos himself hardly leaves the property, still scared that the same gang members who threatened him, or the guide to whom he owes $6,000, will come looking for him. “I know that sooner or later, something is going to happen,” Guidos told me. “They’re going to kill me…. They’re going to settle accounts.” At this point, his only hope is that when they find him, they leave his family and daughter alone. Below is the transcript of our interview. What happened when you finally got to the United States with Meybelín? We crossed the river [the Rio Grande] at like two in the afternoon…. I was nervous the whole time. I didn’t know that water…so I just asked God that the raft wasn’t going to flip or take on too much water and sink. And the raft did have a hole in it, and I put a finger in it—and the last thing, when I saw that the raft was taking on water, I untied my shoes, because I knew that I was going to drown if I kept my shoes on, but without my shoes, I would be OK. So I was ready—ready to help my daughter. But thank God, nothing happened, and we got to the other side. And…the guide turned back. And there was like brush on the other side, and we were walking up, and then I saw the bridge. And so we started walking under the bridge to wait for an immigration truck…. [To Meybelín:] Do you remember that big bridge, my love? When I saw immigration, I was happy—that’s what we were looking for. And so we turned ourselves in and they started searching us, and a truck came and we got loaded in, and they took us to a detention center, and that was where they separated me from Meybelín. There was a lot of people…. Thousands, so many. They told you they were going to separate her from you because she was eating and sleeping poorly? Yes. I said, “But where are you going to take her?” They told me: Look, we’re going to explain it to you. Because there are so many women and kids…we’ve filled up the bus, and there’s no space left for you. But what we’re going to do is, we’re going to send your daughter first, and in the next bus you’re going to go, too. We’d like to send you together, but it’s not possible. And since you have to go to court, and she can’t go to court, we’ll reunite you with Meybelín after court. And so they took me to court. I smiled and told my daughter not to worry, that everything was going to be OK. I had a suspicion. There were thousands of suspicions in my mind that I was not going to see her. But I thought maybe [I would see her] the next day…. But then after a day, I thought, “OK, maybe she’s sleeping…. OK, one day and one night.” But after I went to court, they took me to another detention center, and I started asking where my daughter was, and nobody told me anything. Nobody told me a thing. And so, something horrible they can tell you: that they don’t know…. I started giving my daughter’s number, and they said that she wasn’t showing up…. It was horrible. What happened to my daughter? Who had her? Who knows where she was? Nobody told me anything. I got desperate. Had you asked for asylum? They hadn’t given me the chance, no. I was always trying to ask for asylum. You know what, they told me, here in this country, there is a law—zero tolerance…. And I told them that I couldn’t go back to my country. My daughter couldn’t either. That has nothing to do with us, they told me. Whether you have a kid or not. You bring your kids like they’re a ticket, to be able to stay in the country. And it’s painful when they tell you this. Like you’re using your child to achieve something. And I’ll tell you, if they had told me that in the US, we’re going to separate you from your child for a month, I wouldn’t have accepted it. I was detained for 23 days without knowing anything about my daughter, without hearing my daughter’s voice, without anybody telling me my daughter was OK…. It was 23 days of terror. What did you tell the guards? I was asking them, always. It was a GEO [Group] detention center—it’s a company, I think. And they said, We don’t know anything. We just have to look over you, and give you food, and that’s it. And I remember that ICE officials only came Monday and Wednesday, and when they came I asked them and they told me they didn’t know anything about my daughter…it was horrible…. They didn’t know what I was going through. They didn’t know what I was living. [“I’m tired,” Meybelín interjects.] They had no idea what I was going through without my daughter. I was filled with anger, and I cried at night. I couldn’t sleep…. They were such long days I lived in there. And they came twice to get me to sign my deportation papers. But I didn’t want to sign until they gave me my child, because I was scared they were going to deport me without her. So I asked if they could give my daughter to my brother [who lives in Kansas]. And they said that they could…. It didn’t matter if they turned her over to her uncle or they deported us together—all that mattered was that I got her out of there. And so they told me that they were going to hand her over to my brother…but then they couldn’t. But they didn’t say anything to me, and I still hadn’t talked to her. I didn’t have a number to call or an address. If you want your daughter, you’re going to sign. If I wanted to ask for asylum, he told me, I was going to face three years [in detention], you and your daughter, and so, since I couldn’t even last 23 days, how was I going to last three years? And so I told him, “Do you think I can resolve my daughter’s case in El Salvador?” And he told me, Sure, if your government helps you. So they made me sign a document that said I came without my child. But when I signed the document, I thought I was doing it so they would hand her over to my brother. But when I got back, I realized that they’d tricked me…. They deported me without my daughter. We suffered a lot. We really suffered…. We took a bus from El Salvador to Mexico. From Mexico and up, I remember, they put us for 52 hours in a freezer. A truck-trailer, where they put meat. It was really cold. Really, really cold. I had a sweater, but I put it on Meybelín. We were all shivering. Fifty-two hours, and there were about a hundred of us in there…. We could breathe, but it was so cold. There were no holes in the trailer. It was all enclosed. I never even had the courage to ask them what was happening. We just shivered. I put Meybelín between my legs and just hugged her. And I wrapped her in a blanket. There were a lot of kids in there. I remember the place they took us, it was like a truck depot, and there were 600 of us there, all migrants. Six trailers…. So… We were all living through the same thing. Imagine all of that, 52 hours. All they gave us in all that time was a green apple, and a cookie. And didn’t you have to go to the bathroom? Yeah, but there were no bathrooms. All we could do was pee. There were these paint buckets. That was all there were. I think there were four of them. And if you needed to do more than pee? That was all there was…. Yeah, there were a lot of problems…. It smelled disgusting. It smelled so bad. Imagine…. We got to the border, and we were in the warehouse for two days. No food. The first trip, I didn’t suffer that much because I was alone…. I regretted bringing [my daughter] a thousand times. And everything that happened, I regretted. Because, why, why, why? Sometimes I started crying thinking that my daughter didn’t deserve this. Did you ever consider living in another city in El Salvador? No, because it’s the same. Because if you’re from here and you show up somewhere and they don’t recognize you, they start investigating. And they make some calls, because they have a huge system to identify people. In five minutes, they even know your birthday. It would have been the same as if they had found me here. No, because it’s the same in Guatemala, in Mexico. It’s all contaminated. So the best for me was the US. You know what… the fear hasn’t diminished, it’s just gotten worse. Now I’m scared of the gangs. With all the [local] media and TV, they must know. Everybody is talking about the case, everybody knows me. It’s a serious problem. Another problem is the $6,000 I owe the guide. Even if I didn’t get to stay, his mission was to take me across the river. So now what happens? Sooner or later he’s going to come. And he’s going to come and ask for his money. Six thousand dollars. And I don’t have the slightest idea how I’m going to manage, or what I’m going to say to him, but he needs his money…. I know he’s going to show up and it’s going to start. And so it’s something…. it’s really scary. Really scary. You know, at the same time, you get used to it…. I know that sooner or later something is going to happen. They’re going to kill me. They’re going to find me. They’re going to settle accounts. Your brother-in-law and his 7-year-old daughter, Darling, traveled with you. What’s their current situation? Honestly, we don’t know what’s happening. They have him in Port Isabel [another Texas detention center]. And I don’t know where Darling is. They’re separated. A few days ago, I think four days ago, he called my sister. You must be worried about them. Yeah, of course. Imagine, I know what it’s like there. I was detained for a long time. 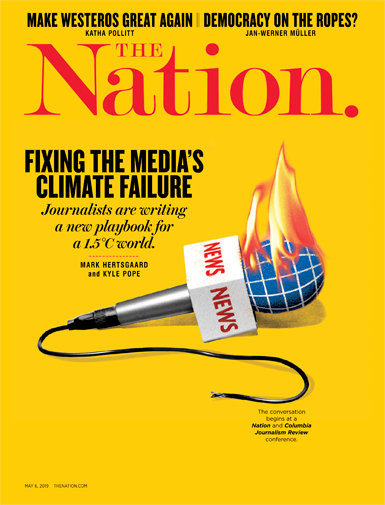 And without a concrete response about what’s going on with them…. I think they’re hoping that they will be reunited, and they will stay [in the US], but if not, then they’ll get deported. What he wants is to be reunited with his daughter. So you don’t even know where Darling is? She’s still scared that we’re going to be separated again. When she sees people she doesn’t know, she doesn’t let go of me. She hangs on to me. If someone tells her, Come here, she doesn’t go. She doesn’t leave my side. But she’s going to school, right? Yeah, but just the other day, I went to school with her…and she didn’t want to stay, so I had to bring her back home. So…it’s weird, because she never did that before. Do you see her changed? Meybelín is so sensitive now. You can’t speak loudly around her…. Otherwise she starts crying. Are you thinking of taking her to a therapist or a psychologist? Yeah…yesterday, we were talking with ISNA [Salvadoran Institute for the Development of Children and Adolescents]…they talked to us about Meybelín seeing a psychologist to help her out…. She doesn’t want to sleep alone. She always wants to sleep with me. She was never like that before. She always slept alone in her bed. But she can’t anymore. Did she talk to you about what it was like for her when she was separated from you? She said that it was bad. The food was disgusting. She didn’t like it, they just gave her vegetables, and they didn’t let her play. They made her study. And…she didn’t like it. It was bad and scary for her. Things like that. But she hasn’t talked a lot about it. Did she make friends with any of the other kids? What are you going to do? What are your plans now? Like I said, I don’t have money, I don’t have anything, but just this morning I was talking to my mom, and I told her, Look, I already tried one way, nothing. I tried another way, nothing there either. And so maybe I’ll go to the embassy and ask for a visa for Canada, or Sweden, or Switzerland, or I don’t know where. But I can’t be here. The only thing we have is this property. This land. And I think he’s going to say, if there’s no money, there’s land…. I think he’s going to ask for the land. Read Next: How Will History Judge Donald Trump’s ‘Human Zoos’?